The most common form of dementia today is Alzheimer’s. A disease we don’t fully understand that can strike as early as your 40’s and becomes more prevalent as you age. It’s easy to be frustrated and judge those who suffer with Alzheimer’s as they can go between lucidity to confusing and dangerous behavior so quickly. An experiment was developed by PK Beville that assists caregivers and family members in understanding what it’s like to have Alzheimer’s and immediately makes you sympathetic to how frustrating and horrible the disease can be. Particularly frightening is where it’s pointed out how similar the son’s actions are to his mother who suffers Alzheimer’s indicating that her experience is likely very close to the experiment he endures. Cynthia becomes notably agitated and acts alarmingly as one might expect someone with dementia to act, frustrated, and angry. 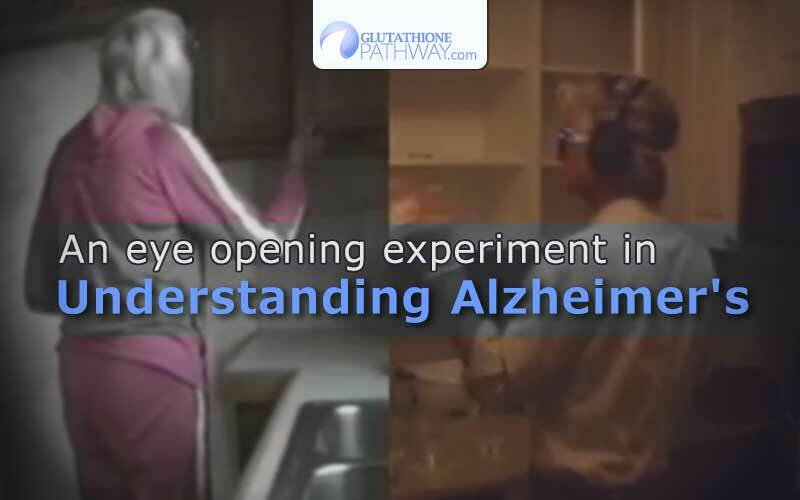 Worse, we need to remember they only participate in this experiment for a 12 minute window, while those with Alzheimer’s live this way every day. Though we’d like to simply attribute it to normal ageing, Alzheimer’s is far from standard memory loss and many won’t notice cognitive decline until it’s well upon them. It’s close relatives and loved ones who are most likely to see a change. It starts small and builds over time. Information you learn and quickly forget that disrupts your daily life. You lose concentration and find relatively simple planning or instruction sets difficult, like cooking recipes or dealing with a budget and bills. Losing track of how you got somewhere, where you are, what season it is. Though there is no definitive cure or cause for Alzheimer’s because of it’s prevalence (an estimated 1 in 9 Americans over 65 years of age as of 2014) there is continual research being done. A surprising link between good heart health and Alzheimer’s has been found, related to plaques in arteries that don’t seem to cause cognitive issues unless there is also evidence of vascular disease. This would help account for physical exercise and a good diet being a first line of defense against Alzheimer’s and really any health issue. Strong social connections with others, and staying mentally active with puzzles, reading, and problem solving on a regular basis seems to equate to exercise for the brain. It’s speculated that the mental stimulation of social interactions and other intellectual stimuli strengthen connections in the brain. A don’t use it, you lose it mentality seems to apply here. Your body is in a constant state of producing cells, using enzymes to break things down, build new nutrients and keep you working. High homocysteine levels have been linked to dementia, Alzheimer’s, poor memory and concentration, among other health issues. This is a complex and multifaceted issue but a compromised methylation pathway from a (fairly common) MTHFR gene anomaly tends to mean high homo-cysteine levels, and also lower levels of glutathione (the production of GSH is also connected to the methylation cycle). Ensuring your nutritional intake, including supplements, covers a wide range of high quality methyl B vitamins that your body is readily absorbing, and that your glutathione levels are maintained, could be extremely beneficial in maintaining your cognitive health. This isn’t about understanding Alzheimer’s the disease – it’s about having understanding for those who suffer from it.